Chris Paul | What is ML Reading? In honor of the Duke Blue Devils… a team in which I have a love/hate relationship. I loved them in the early nineties when my brother attended Duke. In the late nineties, my allegiance changed because I enrolled in library school at UNC-Chapel Hill. In theory, Duke is my arch enemy. However,some of my favorite people, including ML, are fans. With a 9:18 tip-off, I’m not telling ML the NCAA championship game is tonight. As a mother, I would like Duke to win. My grumpy, non-morning person child would actually smile before I dropped her at school. As a Tarheel, I hope Wisconsin wins by twenty-five. Either way, I’m content. Here’s a few books about basketball. Each one is deserving of a championship title. 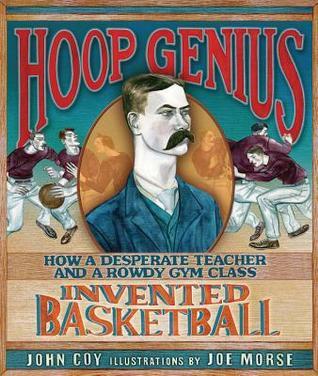 Hoop Genius: How a Desperate Teacher and a Rowdy Gym Class Invented Basketball by John Coy and illustrations by Joe Morse – Don’t miss this illustrated, non-fiction book. It chronicles the beginnings of basketball through simple text and historically accurate illustrations. Compare the clothing throughout the book with the last illustration in the book. A unique and refreshing approach for teaching the history of basketball. 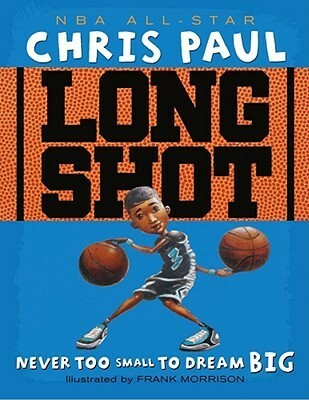 Long Shot: Never Too Small To Dream Big by Chris Paul and illustrated by Frank Morrison – An autobiographical picture book by NBA star Chris Paul. Picture books written by celebrities are usually disappointing; but this one is a slam dunk. The story is well written and the illustrations highlight the anxiety of basketball tryouts and the elation when one makes the team. H.O.R.S.E. 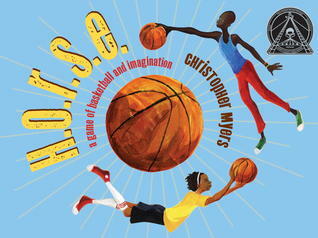 A Game of Basketball and Imagination by Christopher Myers – This book reminds me of the many times my brother and I played H.O.R.S.E in our driveway as children. The players in this book are more creative in their shots; but the trash talk is similar to what you would have found at our house in the eighties. As always, Christopher Myers illustrations are out of this world.